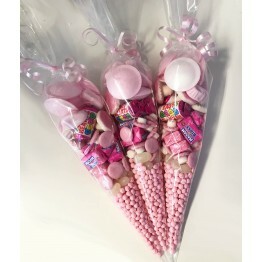 These are stunning sweet cones containing a various range pick & mix sweets with Blue Bubblegum Millions in the bottom section. 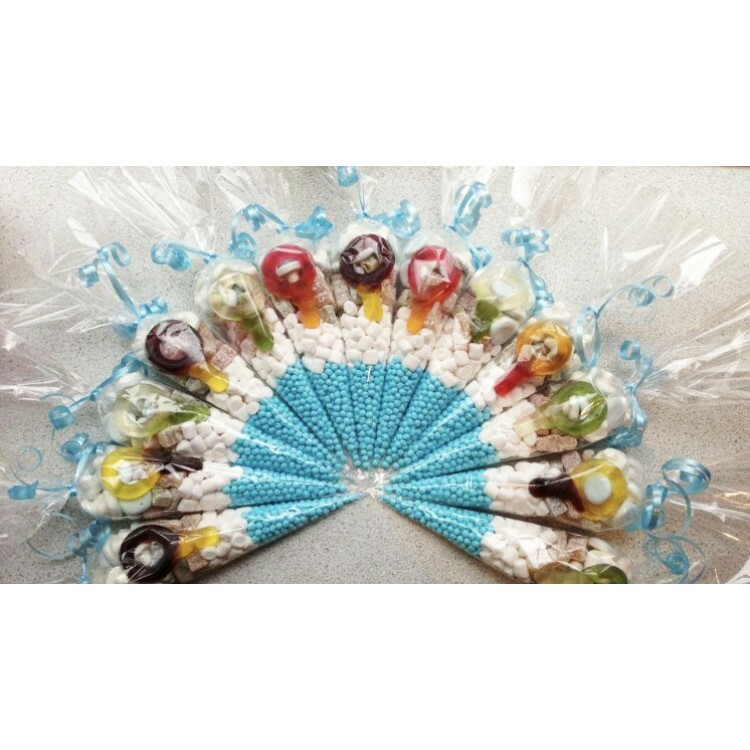 Add a personalised gift tag to the sweet cone for 20p each for that personal touch, this could be a thank you message for birthday party bags, or baby shower thank you gifts, or even a persons name if the cone is to be used as a wedding favour. The ideas are endless. If you selected to personalise your sweet cones for 20p each, please enter the wording you require in the box provided.